When rice is cooking the moisture starts to rise to the lid, the condensation then drips back onto the rice, adding the chance of soggy or sticky rice. Neither is appealing. 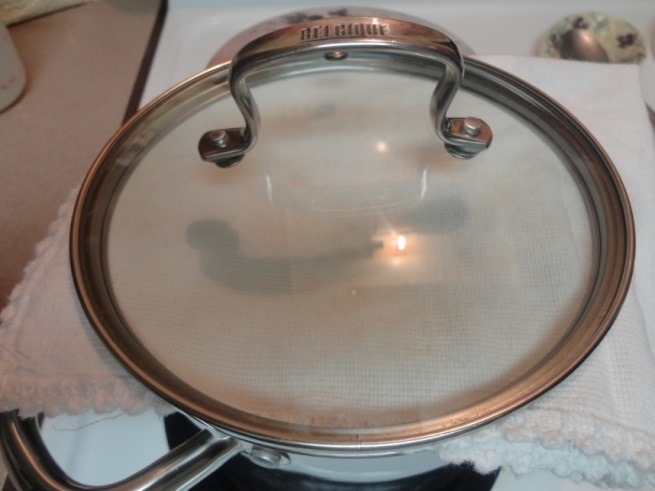 When cooking rice, fold a clean towel (not a paper towel) and put it between the lid and the pot. With the folded towel between the lid and the pot, the moisture is absorbed into the towel. Therefore, fluffy rise is the outcome. This is white long grain rice, the out come is the same for brown rice. Check out our article on Different Ways to Cook Rice. Brown rice is high in protein and dietary fiber, cholesterol-free, low fat and rich in certain vitamins and minerals. The oil in brown rice has cholesterol-lowering effects. According to Elements4Health, researchers have found that eating two or more servings of brown rice weekly is associated with a lower risk of type 2 diabetes (Livestrong.com). Brown rice also has vitamin K, good for blood clotting and bone health. White rice is stripped clean of that benefit. Just one cup of cooked long-grain brown rice provides 216 calories, 5.03 grams of protein, 1.75 grams of total fat, 44.77 grams of carbohydrates and 3.5 grams of fiber. But remember, one cup can be 2 to 3 servings. So if you are worried about the carbohydrates, that 44.77 grams is more like 14.9 grams per serving. Also note, that the cards in brown rice are complex carbohydrates. Meaning they digest slower, therefore blood sugar levels are even and nothing goes to fat. White rice can’t claim that, as it has been left out after being stripped of its fiber. For more information on how food correlates to a healthy you check the Health News Library. Black rice and roasted squash salad. This entry was posted in Reviews - Kitchen Utensils - Cooking - Food and tagged Bay leaf, Brown rice, Cook, Cook Rice, Food, Grains, Grains and Legumes, Olive oil, Rice, sticky rice. Bookmark the permalink.